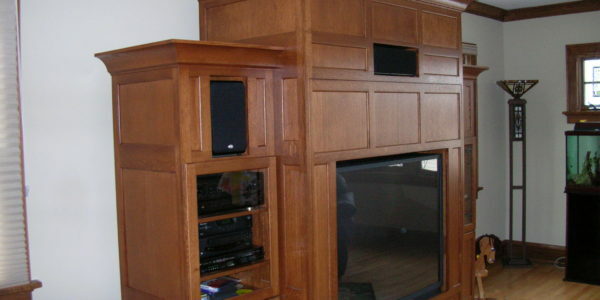 Custom entertainment center. 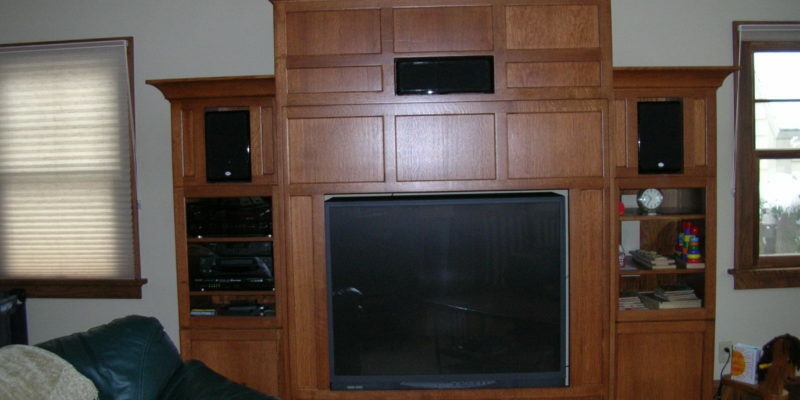 The 3-panel section over the TV is removable to accommodate a larger TV in the future. 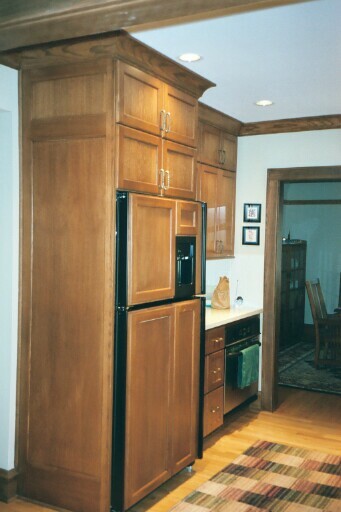 Cabinets we needed to match. 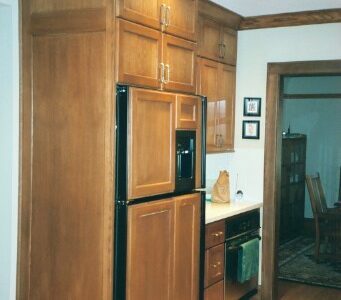 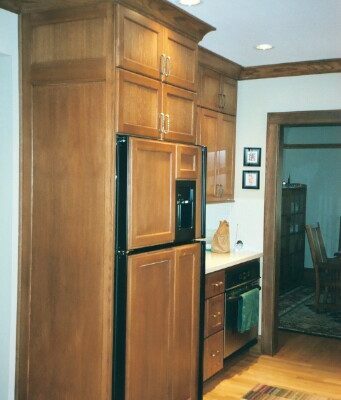 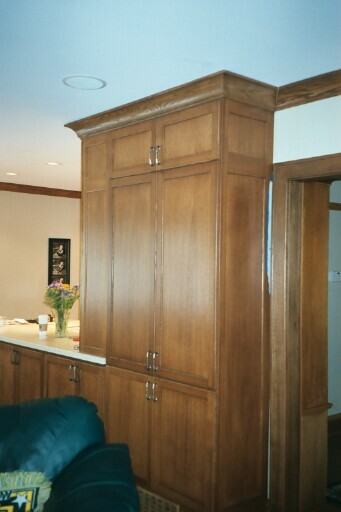 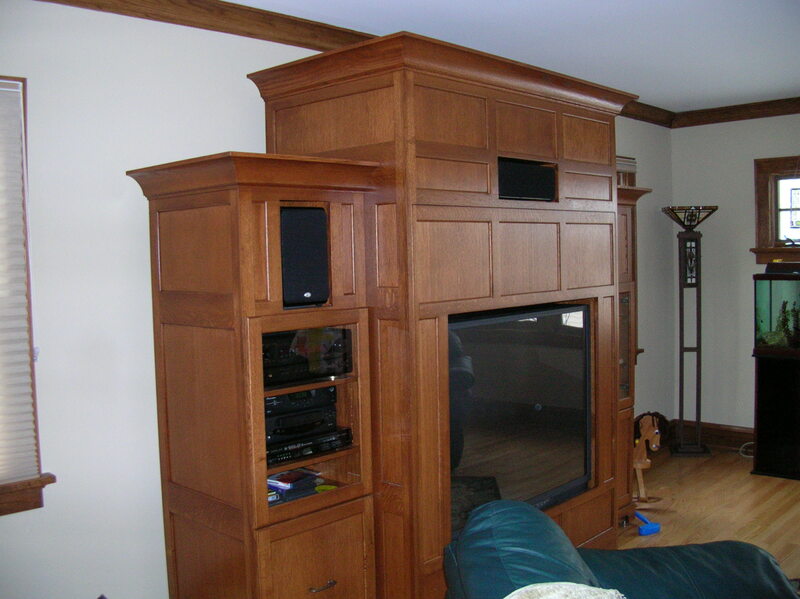 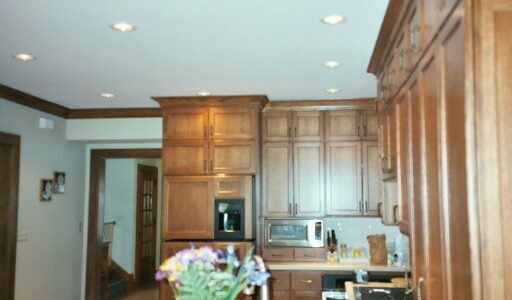 We were tasked with creating an entertainment center which would match this custom kitchen I built in 2000. 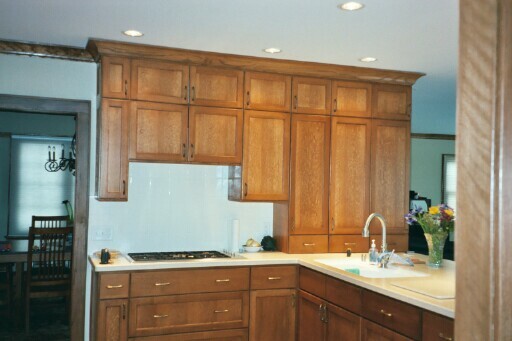 The kitchen was created from quarter sawn white oak. 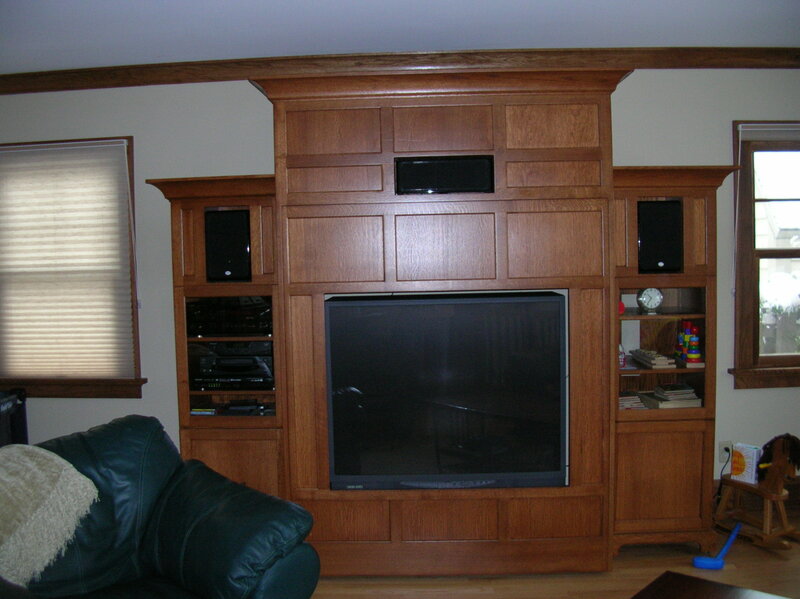 We needed to create a custom entertainment center to match the kitchen. 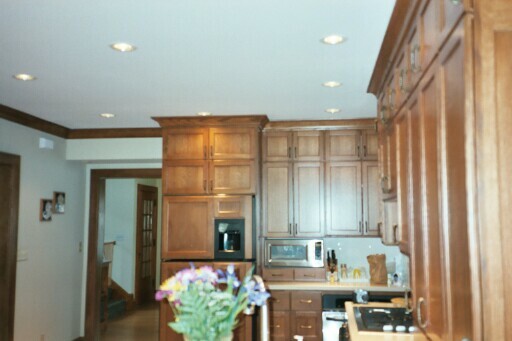 We intentionally left the wood unstained as the client required a very specific finish which they hired an artist to achieve. 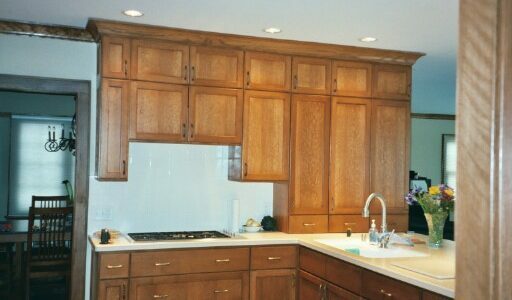 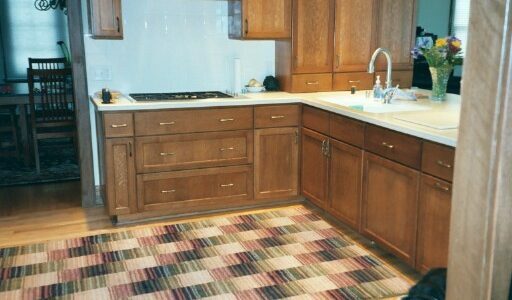 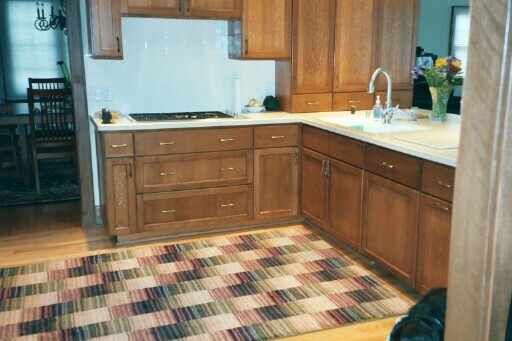 The kitchen cabinets were created with a faux overlay style frame and panel door. They are not just one solid piece. 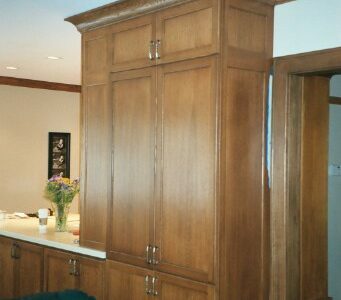 Cabinet ends were also frame and panel, as per the home architect’s design.